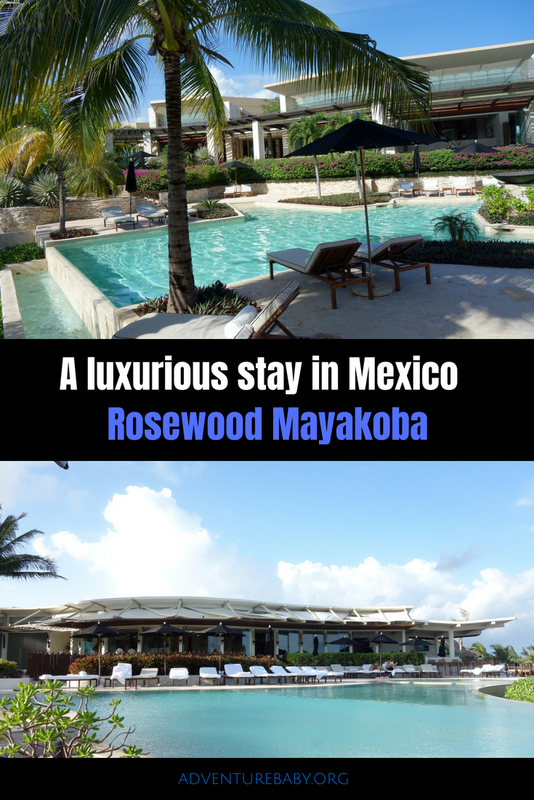 Rosewood Mayakoba: A Luxury Stay In Mexico - Adventure, baby! 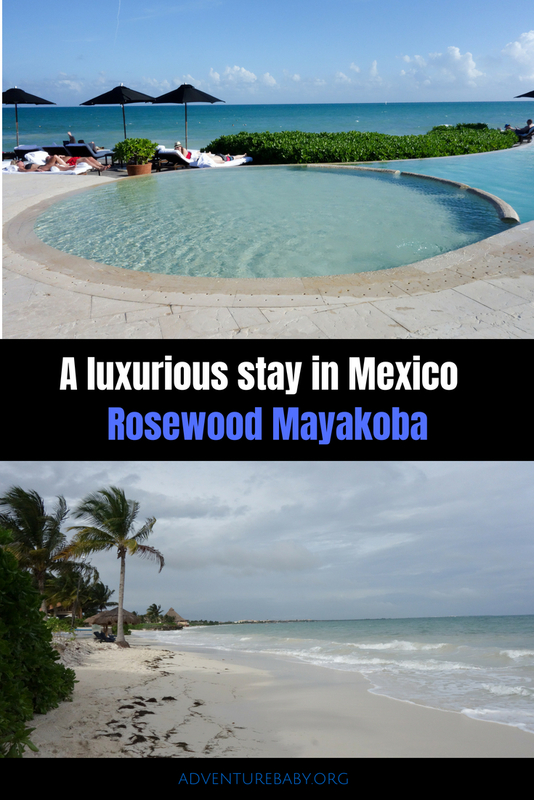 Rosewood Mayakoba is a 1600-acre resort sitting on a mile‐long beach of pure white Caribbean sand, just north of Playa del Carmen. 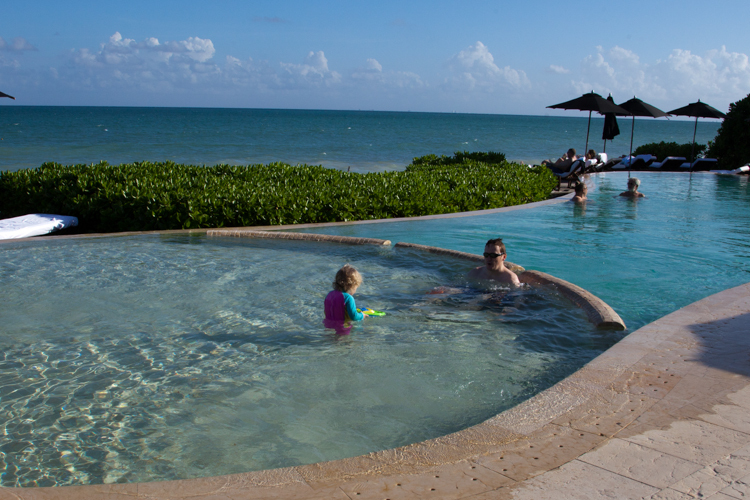 The resort features 130 suites with private plunge pools, rooftop sundecks, garden showers, individual docks and the finest modern design and details. It’s been a long time since we’ve been on a holiday − not a trip, where our purpose is to see family, but a vacation where our only intention is relaxation. 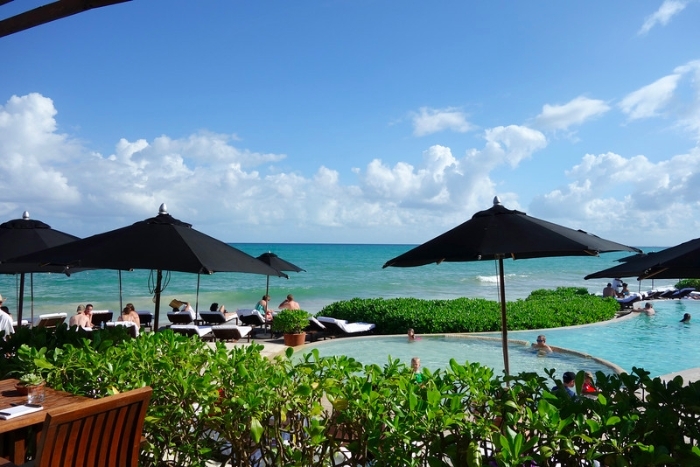 We booked a stay at the Rosewood Mayakoba in the Riviera Maya, following a recommendation from our close friends who vacation there frequently. 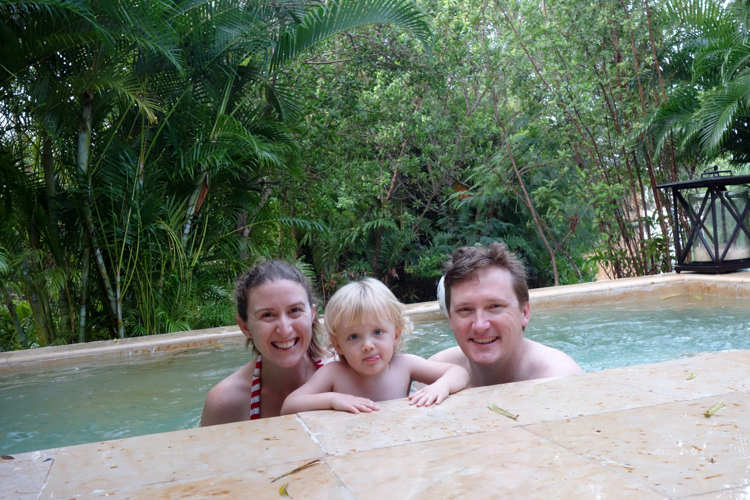 Sunning ourselves in the warm Mexican sun by a pool and doing nothing else sounded exactly what we needed. 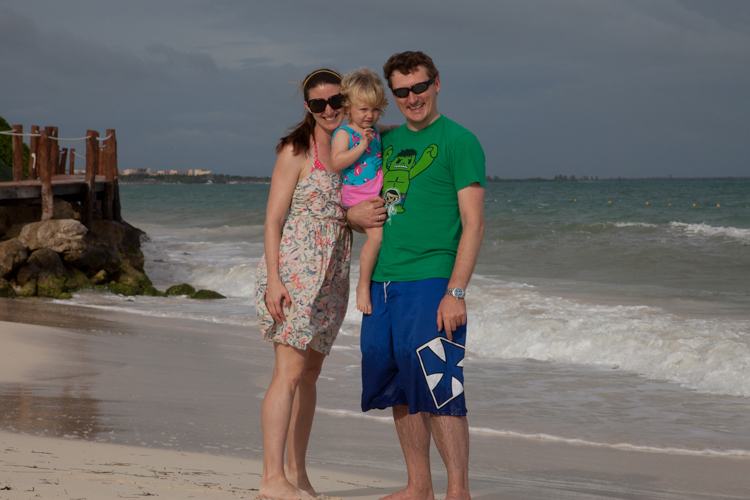 It was the first time in Mexico for all of us. 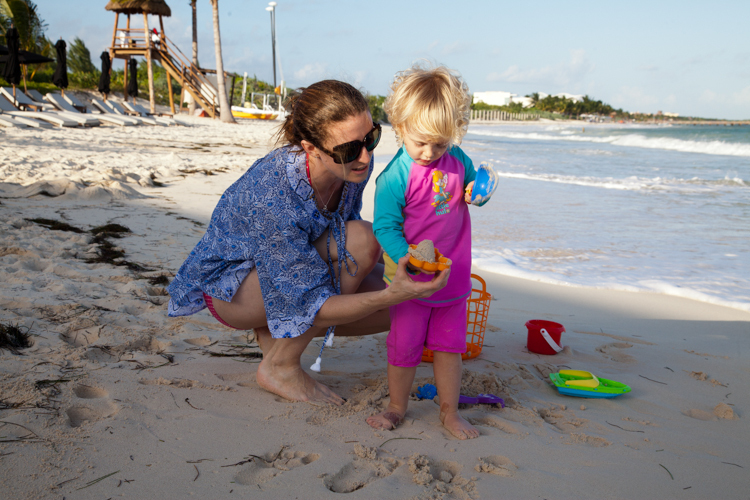 I usually prefer traveling where I see a lot of the local culture and history, but this time, with a very energetic two-year-old, all I wanted to do was relax and swim. 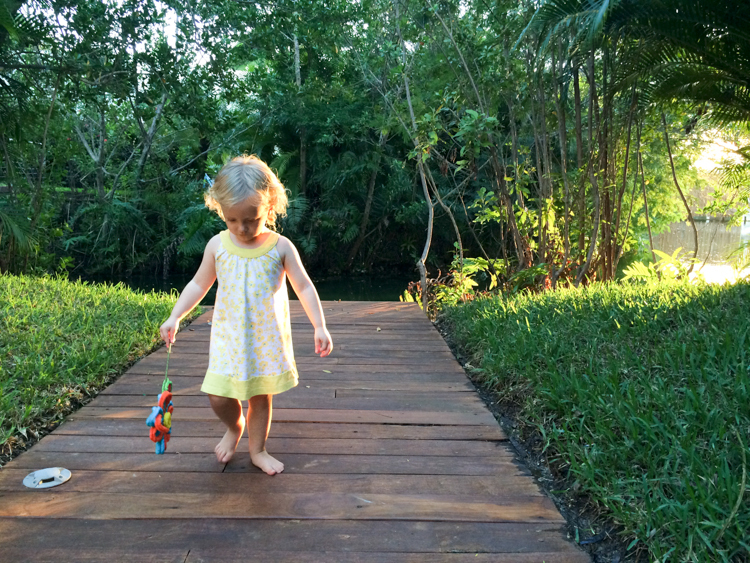 Mission accomplished at the Rosewood Mayakoba, where we spent four blissful days doing absolutely nothing. From the moment we arrived, we were treated to world-class service. On arrival we were presented with cocktails, and escorted by boat to our own personal dock attached to our villa, complete with outdoor plunge pool. The thoughtful staff remembered our names and greeted us personally throughout our stay, always happy and cheerful, wanting to make our stay as special as possible. 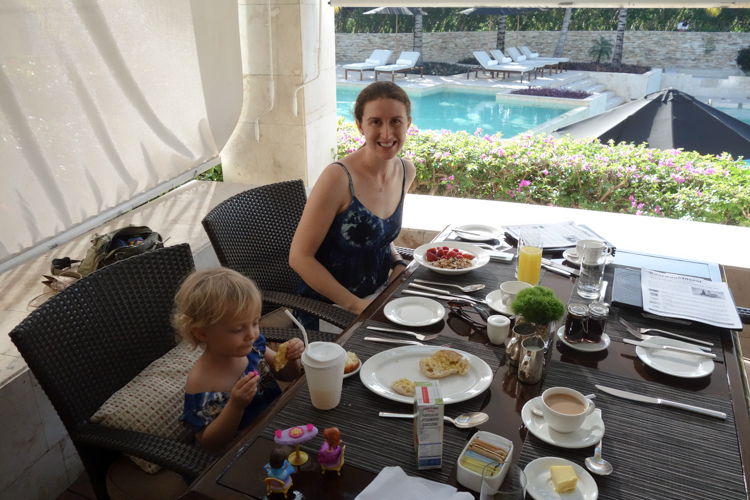 Our routine while at Rosewood Mayakoba: wake up in the morning, take a dip in our plunge pool, then stuff ourselves at the buffet breakfast (there were CRONUTS every day!). 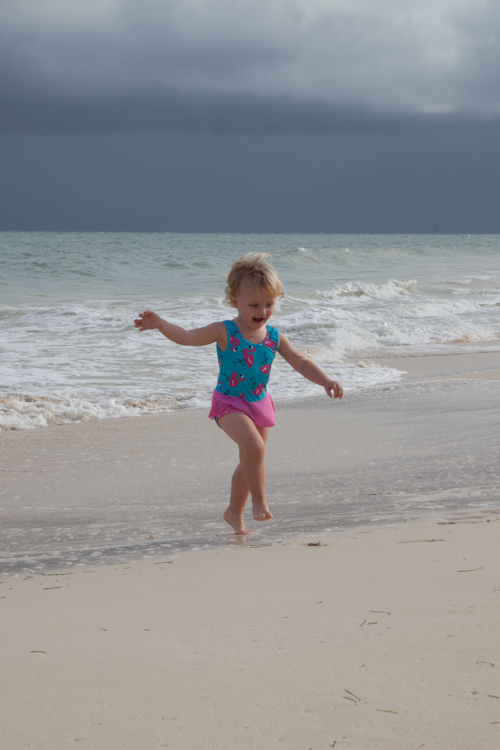 After lunch, stroll on down to the beach and spend the afternoon having lunch, playing with Missy E in the Rose Buds playroom if the sun was too hot, then playing on the beach and swimming in the pool. 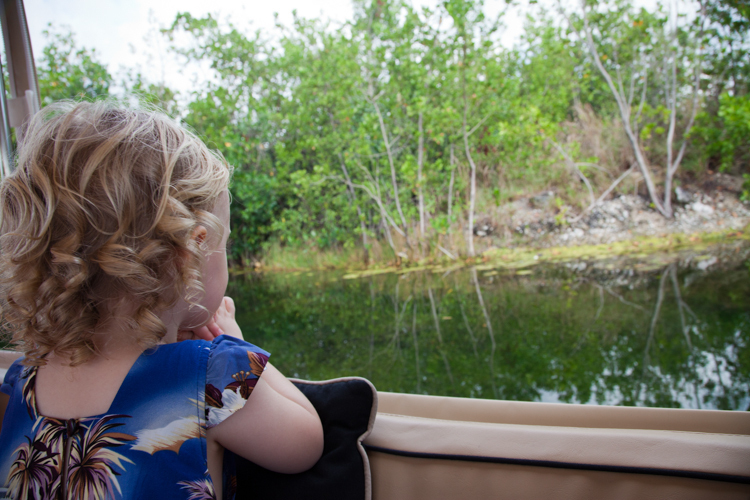 We were so happy with our family-friendly Rosewood Mayakoba was. 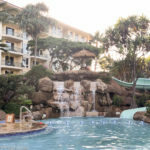 The beachside pool had a special shallow area for small children, and the staff handed out beach toys for the kids to play with, as well as bringing around afternoon snacks like sorbet. 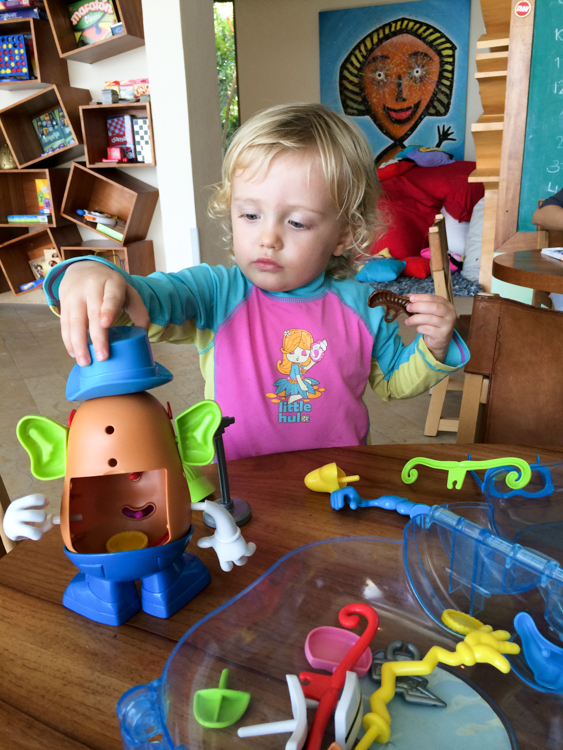 The resort features a fantastic kids club, called Rose Buds, which is a big playroom filled with toys and games, a movie screen and crafting activities. 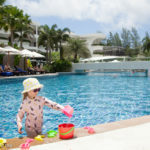 While children must be over a certain age to be dropped off at the kids club in the care of staff, they may use the facilities if they are in the care of an adult – which can include a babysitter, booked through the resort. 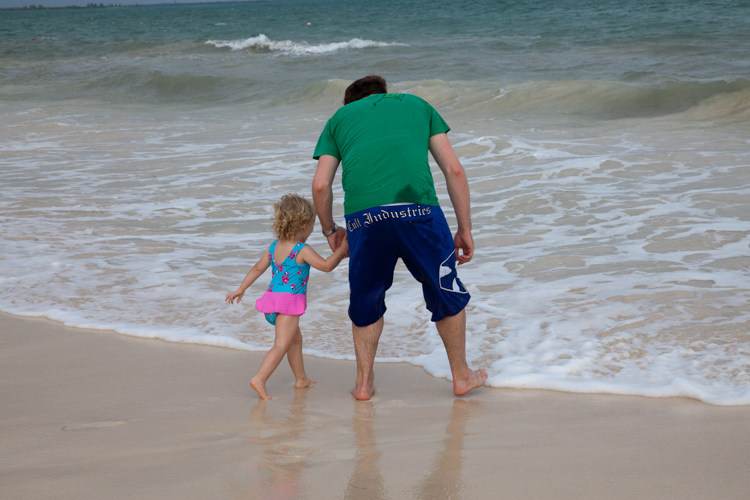 The resort also offers a wide range of fun activities for families. 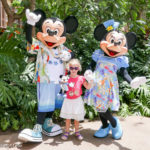 Older children may be dropped off, but younger ones must be accompanied by an adult (check with the resort for more details on drop-off ages). Activities available include yoga, an EcoTour (including a tour on a boat accompanied by a biologist who explains everything about the flora and fauna), a scavenger hunt, EcoBingo, pizza class and cookie-making class (during high season), themed nights such as Mexican Night, Pirate Night, Pajama Party and Mayan Celebration (during high season), Spanish and Mayan lessons (during high season) and Mayan story-telling. I took Miss E on the EcoTour, which we both enjoyed. We saw an alligator resting on the riverbank, which excited the children and adults alike. 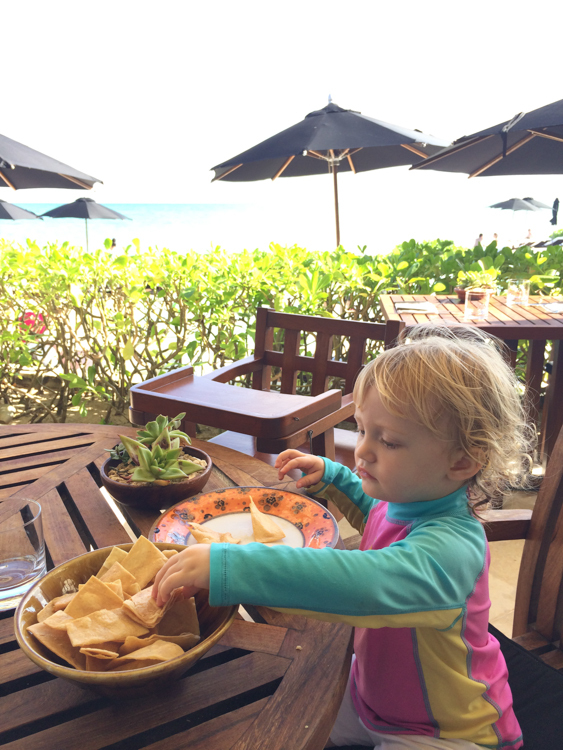 At a fancy resort, you expect that little kids might not be welcome. 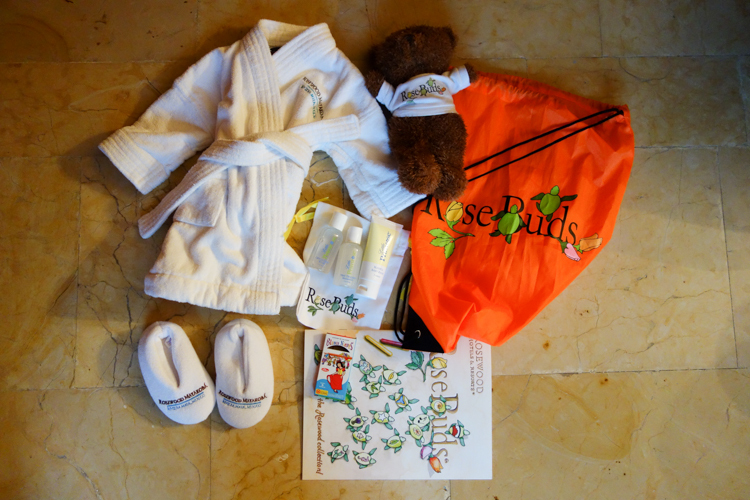 The Rosewood however also went above and beyond to make Miss E feel special (if a spoiled toddler can possibly feel even more special, that is!). A sweet kids’ kit on arrival, a clean and well-stocked playroom, constant effort by the staff to make sure she was catered for – little things like complimentary whole milk in our room, kiddie cups everywhere we dined and staff remembering her name and greeting her all throughout the resort made Missy E, and all of us, feel comfortable and welcome. At such a relaxing resort, it was impossible to resist the siren call of Sense, the Rosewood spa, where I had a massage and a pedicure like no other. I was reclined backwards in a zero gravity chair, with a weighted mask over my eyes and my feet pampered. I was so relaxed I think I might have fallen asleep. We booked a babysitter three nights out of five so we could have some together time, and enjoyed some amazing meals around the resort at Casa Del Lago, which overlooked the pool, and Punta Bonita, which is a family-friendly restaurant by day, and romantic Mexican-inspired restaurant by night, overlooking the ocean. We also ventured to the neighboring Banyan Tree resort to dine at Saffron on delicious Thai classics. Our last night we had room service from Casa Del Lago, which I actually thought was the best meal we had all trip. The meal was basically relocated from the restaurant to our hotel, complete with tiny chocolate truffles. 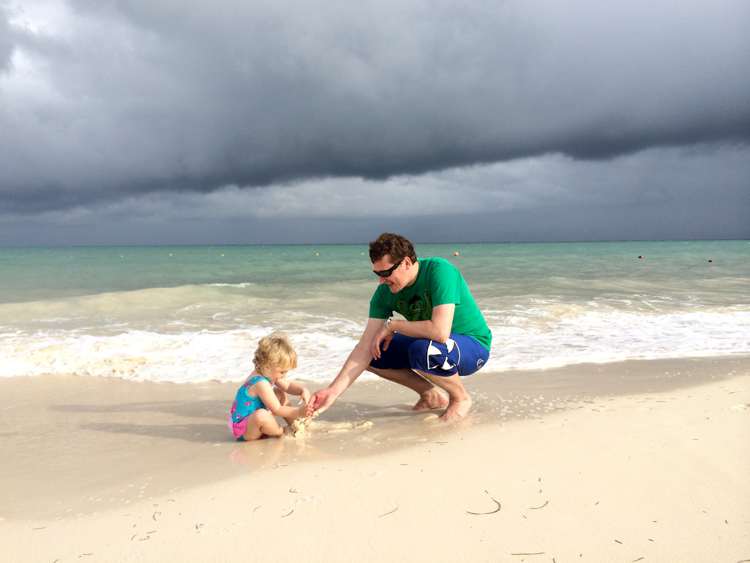 We’ve stayed at a lot of hotels and resorts in our years of travel, but this trip to Mayakoba was special. The Rosewood is set up to pamper guests, and help them fulfill their every need. Every staff member went above and beyond to take care of us, remembering our names, that I was vegetarian (! ), and continually trying to make our stay the best it could be. 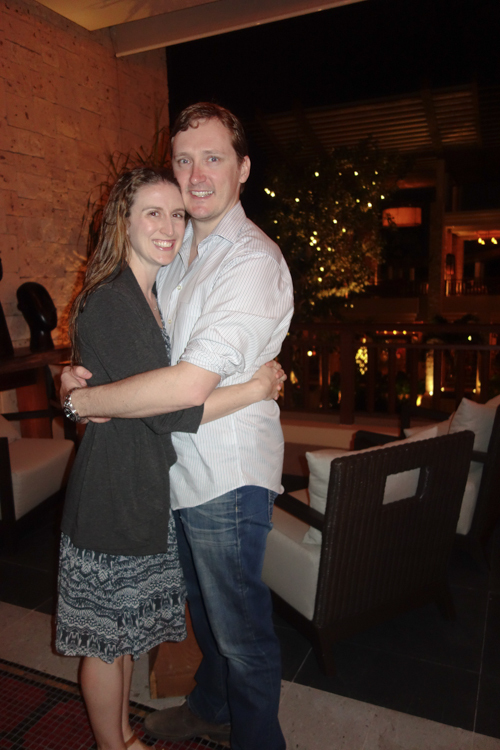 The end result – we had never felt so relaxed, welcomed, valued and pampered. 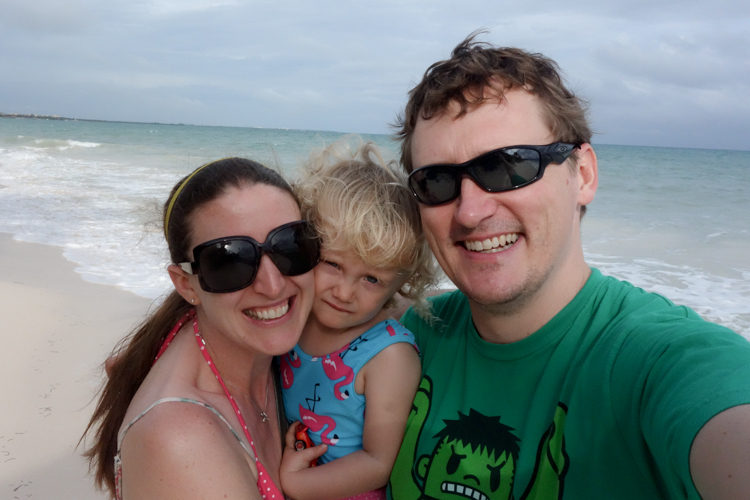 Alec and I both agreed that our Mayakoba vacation was possibly the best trip we’ve had, and can’t wait to visit again. « GIVEAWAY: Win one of three sets of bowtie + tie from A,Apple Pie!